Why IVC Filters Pose Injury Danger and Health Risks | DeLoach, Hofstra & Cavonis, P.A. Many patients who undergo surgery are at an increased risk of blood clots as they recover, and rely on blood-thinning medications to prevent clots from forming. For patients who cannot take blood thinners, the invention of a tiny metal cage that can be implanted into a vein could literally be a lifesaver. Unfortunately, what should have been a miraculous safety device is under fire for causing health risks. 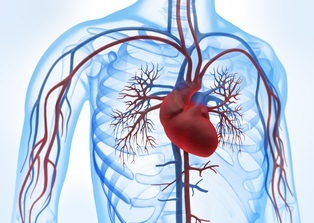 As blood circulates throughout a person’s body to deliver oxygen, the deoxygenated blood returns to the heart through the inferior vena cava, the largest vein in the body. After surgery, patients may suffer clots deep in the tissues of the lower extremities, called deep vein thrombosis (DVT). One of the worst complications of DVT is the clot could break free and travel through the bloodstream, becoming lodged in an artery of the lungs. This is a pulmonary embolism—a condition that can be immediately fatal or cause death within a month of initial occurrence. Inferior vena cava (IVC) filters are tiny, spider-like devices implanted into a patient’s body after surgery to prevent a pulmonary embolism. An IVC is inserted into the vein, and is used to trap blood clots in patients who don't tolerate anticoagulant medications. If the patient suffers a blood clot in his or her legs, the IVC filter captures the clot, allowing it to break up gradually to the point where it can no longer pose a threat. Why Are People Filing Lawsuits About IVC Filters? Consumers were first alerted to the dangers of IVC filters in August 2010, after a research study published in the Archives of Internal Medicine revealed problems with two IVC models. The study showed that over the course of five years, 80 patients implanted with the Bard Recovery or Bard G2 vena cava filters suffered a fracturing of the device or a migration of the device to another area of the body. A full 25 percent of study participants suffered an embolization due to device failure, with 71 percent of these victims suffering embolization of the heart. Three patients in the study suffered life-threatening consequences of cardiac embolism, and one died as a result. In that same year, the U.S. Food and Drug Administration (FDA) issued a safety alert after receiving more than 900 reports of IVC filter failures resulting in serious injury to patients. The FDA included a recommendation to physicians implanting IVC filters, urging them to monitor their patients carefully to ensure the devices didn't migrate, and to remove the filters as soon as the risk of blood clots has passed. Failure to trap clots. Patients claim the filters migrated out of place, allowing blood clots to escape or travel past the filter into the heart. If the device migrates, it may also become lodged in the surrounding tissues or in the heart itself. Breakage. The brittle legs of the filters may break off inside a patient's body. When this happens, the fragments may pierce the vein, the heart, the lungs, and surrounding organs—and any clots trapped inside the filter can be released back into the bloodstream. Failure to warn. Many patients are angry that manufacturers failed to adequately inform them about the potentially deadly side effects of the filters. For example, the risks of fracture and migration increase the longer retrievable IVC devices are left in place. Defective product claims. Some claim that Bard marketed IVC filters with full awareness the product had design flaws and manufacturing defects. For instance, the medical tool created by the company to remove the IVC filter was never approved by the FDA. If you or someone you love was injured by an IVC filter, our attorneys can listen to the facts of your case and determine if you are eligible to recover medical costs, lost wages, pain and suffering, and other damages. Simply fill out the contact form on this page today to set up your consultation with our Florida medical device injury attorneys.